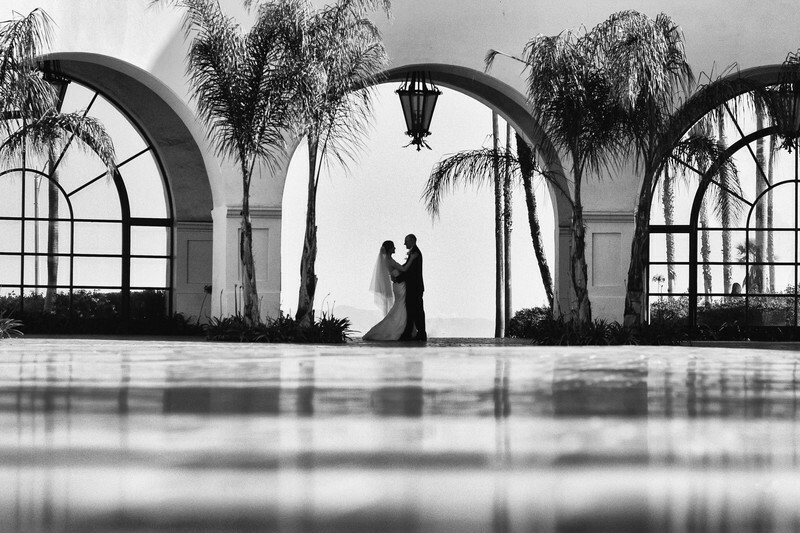 A symmetrical image of a bride and groom dancing at the Fess Parker Doubletree. This black and white image provides a contrasted and eye pleasing composition against a backdrop of the Santa Barbara coastline. Location: 633 E Cabrillo Blvd, Santa Barbara, CA 93103.